Infographic designs have become quite popular in past couple of years and rightly so. They have this appeal that gets the attention of visitors in just a second. No other online marketing banner, ad or ad copy is as attractive and engaging as an infographic design. It needs a lot of effort and research to create a proper infographic design. Just look at the word “infographic” to know what areas need to be researched when creating one. You have to explore information about the given topic in deepest depths and create a design that’s visually attractive, striking and engaging. Only professional designers and content researchers can work together to create an infographic design that serves the purpose it was started for. The idea is not to put pieces of information in one place and stuff them into a box. The real idea is to find general information, tweak it into attractive information and then put it together in a design that absorbs visitors’ attentions straight away. Take a cluster of juicy grapes for example. Our web designing experts know how graphics work. This is what they have done in their entire lifetimes and you’ll testify their experience when you look at their work. We have to confess that we love playing around with content and designs and infographic designs give us the opportunity to do both at the same time. You just need to give us a topic and tell us what you want to deliver through the visuals and leave the rest to us. Our WEBIZ web designing experts know how to play around with graphics so it doesn’t matter whether you need an infographic website, an infographic design for educational or reviewing purpose, we know how to put these pieces of information together and get visitors’ attention in just one second. 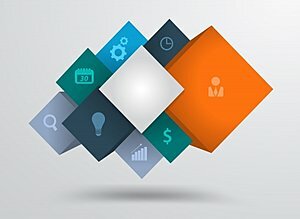 WEBIZ is a website design company with a unique approach and one that always likes to think out of the box. It’s our job to fit an infographic design on your website and make it matter. Let us know if you want this custom infographic design marketed too. Call us right now!